Traveling allows you to step outside of your comfort zone and surround yourself with sights, sounds, smells, flavors, and feelings different from those of your daily life. It permits you to roam untouched landscapes, come across people you otherwise would never have had the chance to get to know, and encounter life changing endeavors. Traveling is all about the experiences you have, and each destination around the world has its own unique ones to offer. One of the best ways to learn about a country’s culture and distinct way of thinking is to dive deep into its history and traditions. 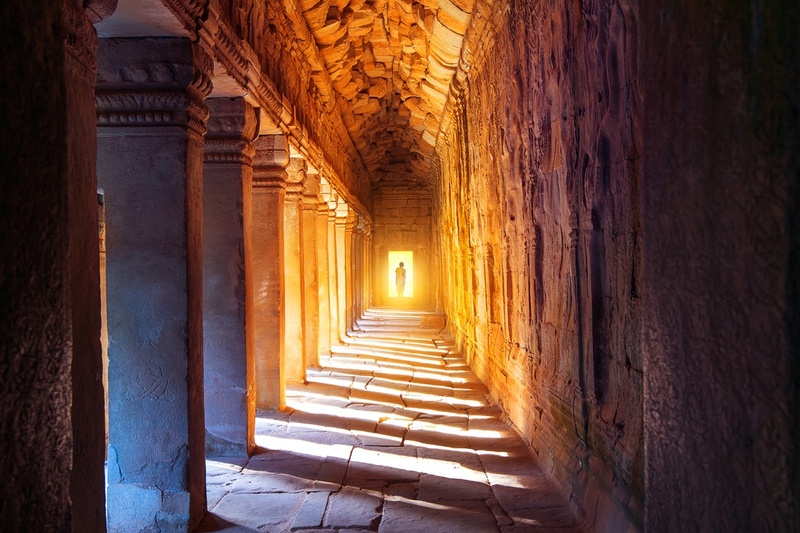 Cambodia allows travelers this privilege by offering a truly immersive and unparalleled opportunity: spending the night (or several) in one of its many ancient monasteries. 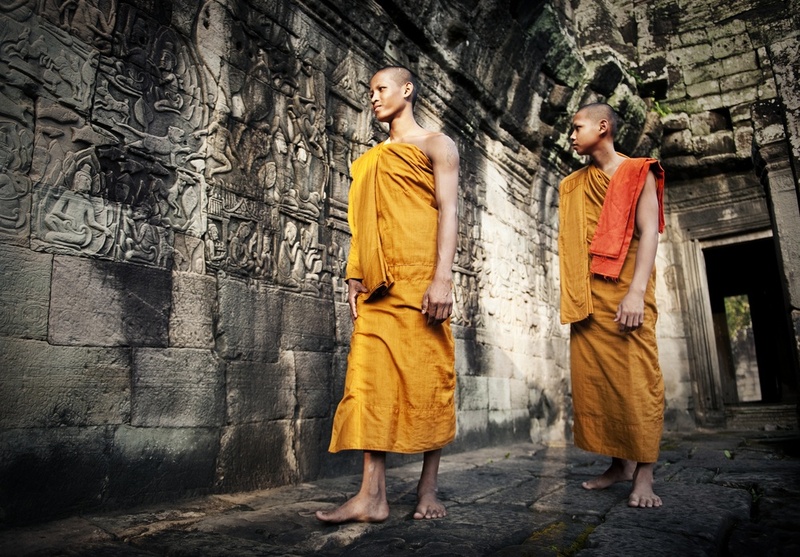 As you discover ancient teachings, partake in spiritual practices, and stretch your mind, you’ll be able to explore, to a great extent, what life as a Cambodian monk is really like. 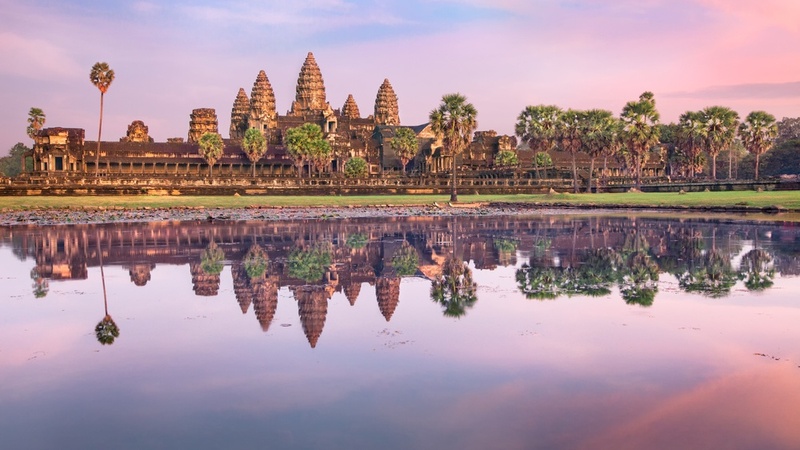 Travelers to the enchanting Southeast Asian country of Cambodia will be wowed by its intricate rice fields, picturesque palms, and elaborate ancient temples. 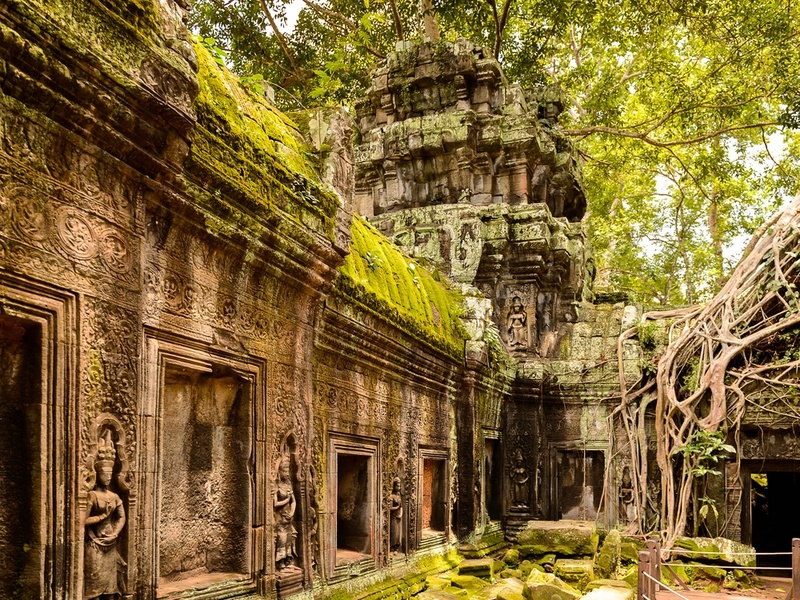 Known best for Angkor Wat, an enormous temple complex which is recognized as the largest religious monument in the world, Cambodia is an exemplary spiritual destination. 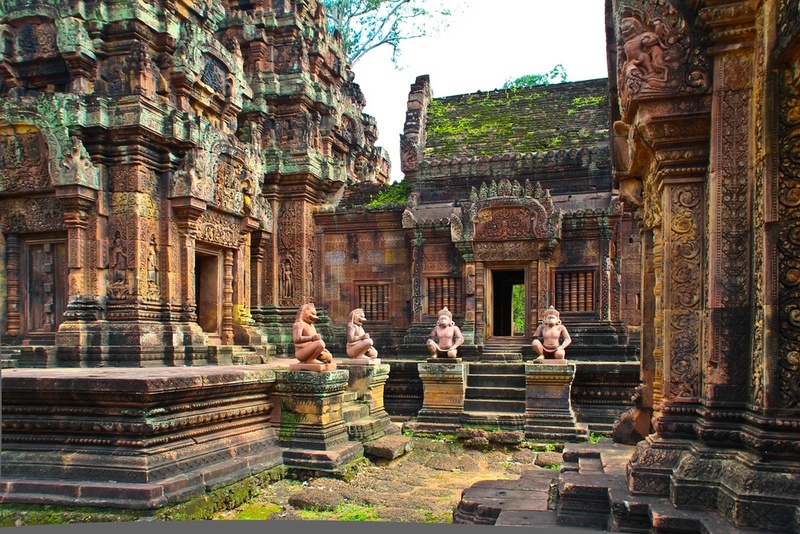 However, before embarking on a monastery stay, it is key to understand the religious history of Cambodia. 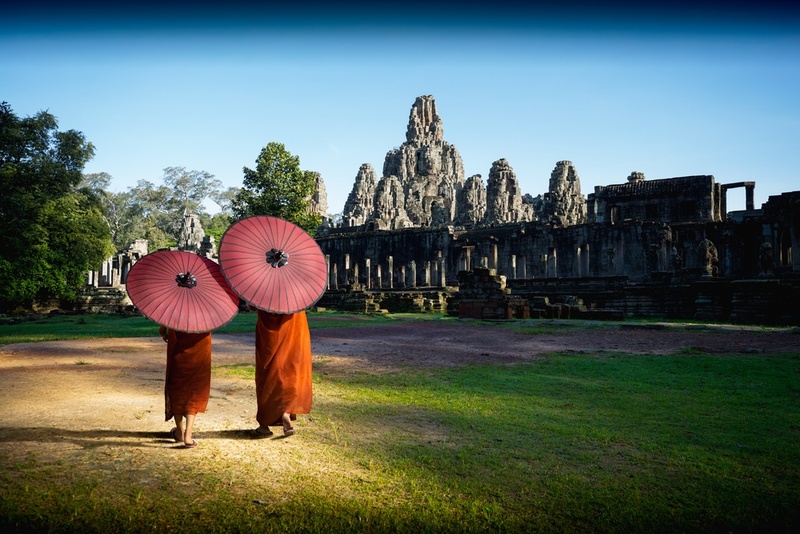 Cambodia is a historically Buddhist country, with traces of religion dating back to the 5th century, and over 95% of the population identifying as Buddhist. Currently, the most common form of this practice is Theravada Buddhism, which has been in place almost continuously since the 13th century. Theravada is more conservative than Mahayan, the other branch of Buddhism that developed from Hinayana, and literally translates to “school of the elder monks” in Pali. 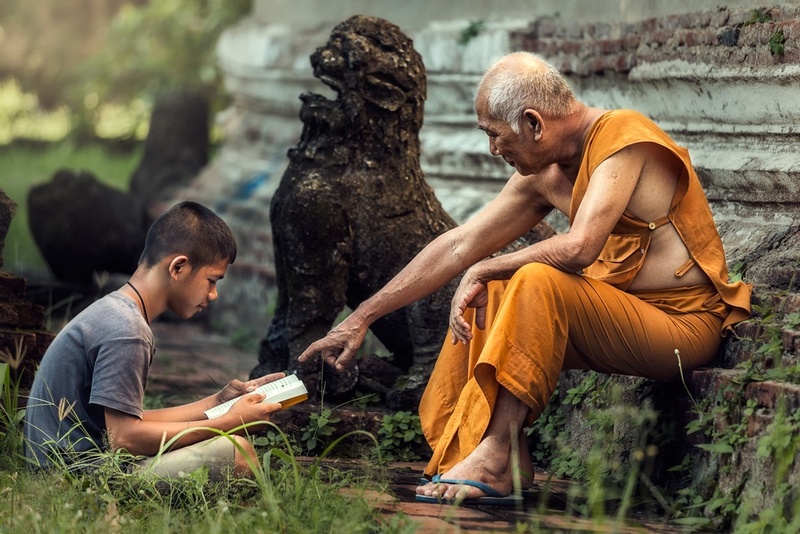 Theravada is based on Buddha’s teachings from a collection of scriptures known as the Pali Canon, and follows a strict interpretation of this doctrine, in addition to emphasizing monastic discipline. As the principal religion not only in Cambodia, but in Laos, Myanmar, Thailand, and Sri Lanka (where it was developed) as well, Theravada Buddhism includes an abounding range of traditions and practices throughout the world. Buddhists believe life is part of a cycle of never ending change, and that the universe and all life within it is continually reborn. The form that life takes, whether human or nonhuman, is dependent on that being’s action in its previous life. This cycle only ends for a being when they reach nirvana - achieved by gaining good karma following Buddha’s teachings. Good karma is earned through merits, which are described as acts of service, including money donation, monastic labor, and providing meals to monks. 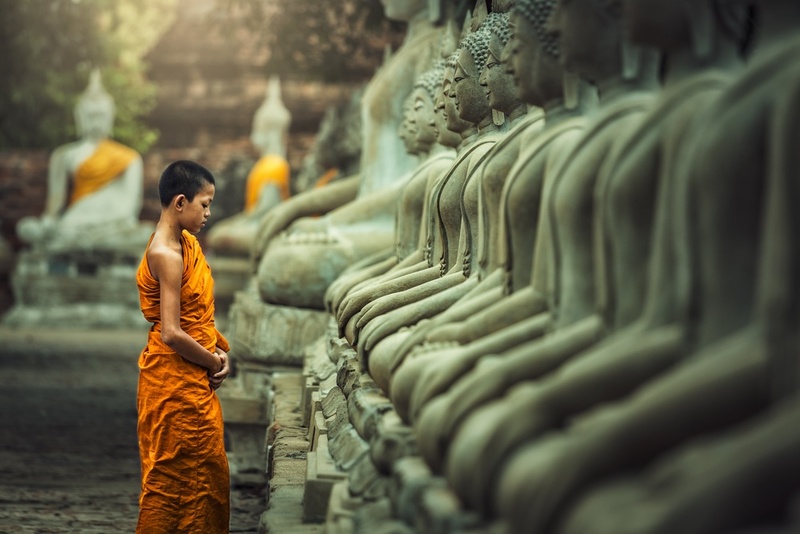 Whether or not you’re a practicing Buddhist, the opportunity to explore traditional ways of life and religious practices is the ultimate cultural immersion for any spiritual traveler. The uniquely Cambodian context of spending a night in an active monastery alongside practicing monks makes this an incomparable once-in-a-lifetime experience. While extended meditation does require practice, this one night experience is beginner-friendly, and allows visitors an introduction to the Buddhist way of life. Upon arrival at your monastery home, you’ll be greeted by the monks who live there. They will be your spiritual and cultural guides during your overnight stay, allowing for a first-hand learning experience. Beginning with an introduction to the basics of Buddhist philosophy and life in the monastery, you will then participate in an ordination ceremony where you’ll be dressed in traditional robes and men will have the option of having their heads and eyebrows shaved. Room and board in the monastery is simple, and involves sleeping on the floor with basic bedding and eating no-frills meals. Your stay is meant to be an authentic immersion, and the monastery is not treated as a tourist attraction, therefore, you will live very closely to how the monks do. The next day, you’ll awaken before dawn to the sound of drums. This announces the start of the monks’ day, and is when early morning meditation, chanting, and prayer takes place. Joining in on this integral part of their daily life is a powerful experience and a privilege to be a part of. After being introduced to a few different forms of meditation and ancient Pali chants, you will practice the spiritual ceremony yourself, as you attempt to achieve the monks’ level of concentration. Finally, during your time in the monastery, you’ll also have a chance to explore the intricacies of the complex, uncovering the centuries-old stories it holds within its walls and gaining a better understanding of monastic life. This cultural stay will engross your mind, body, and soul as you embark on a personal journey promoting self development and growth. As a well rounded learning journey, you’ll transform academically, spiritually, and physically. The teachings you learn here will help to foster inner calm and a sense of well-being, while broadening your horizons and giving you the chance to explore Cambodia’s fascinating heritage. Open your mind, deepen your understanding, and cultivate an appreciation for a world so different from your own.